Before I go into much details on traditional wall upholstery 101, I would like to mention the following. 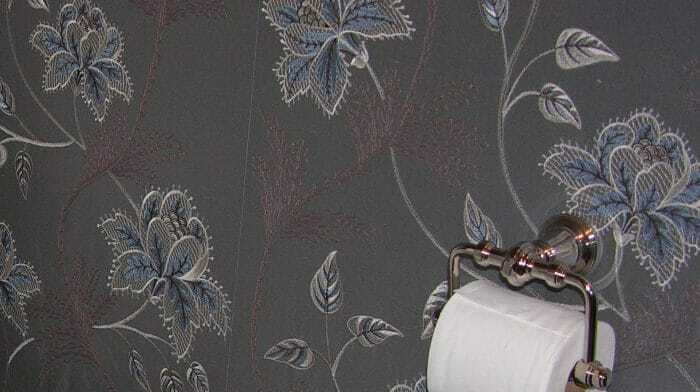 When it comes to wall upholstery, there is only two options. 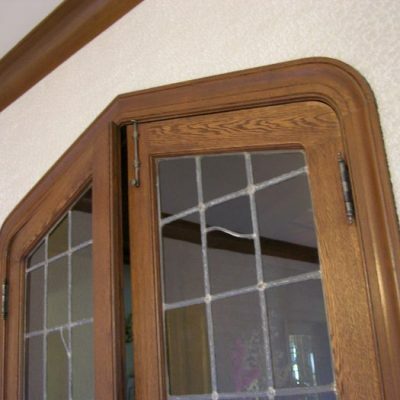 You either ask a professional to perform the installation or decide to do it yourself. 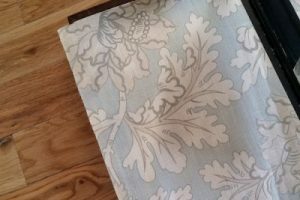 I have read a few blogger posts’ on DIY upholstered walls and watch a few videos on this subject. However, something is missing in most of them. 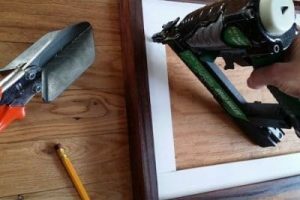 For instance, the lack of preparation by adding a small frame. 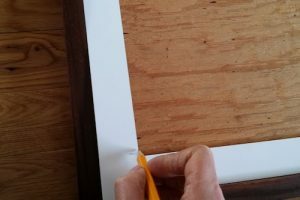 A frame is created by a slat, a strip, or a track fix to the wall before the fabric is installed. It is fitting along the moldings. The question is Can you stretch fabric on walls? Yes, you can. You need basic skills and a few tools. 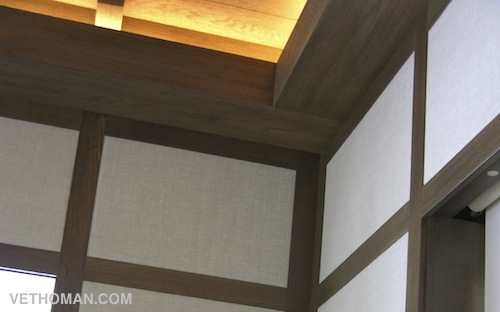 Not to mention, wall upholstery requires patience, precision and an amount of strength depending on the scale of the project. I am including a few links (words in blue) to help you. Given these points, some of you will decide to go to a professional. So, try getting as much information as possible. In order to guide through THE process, I have written an article on this topic. Laying out questions you should ask before hiring an installer. 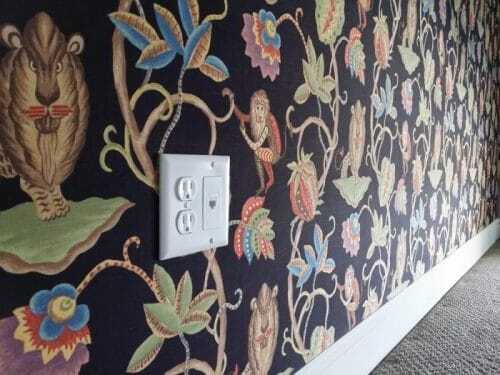 You can find it at How to choose a wall upholsterer? 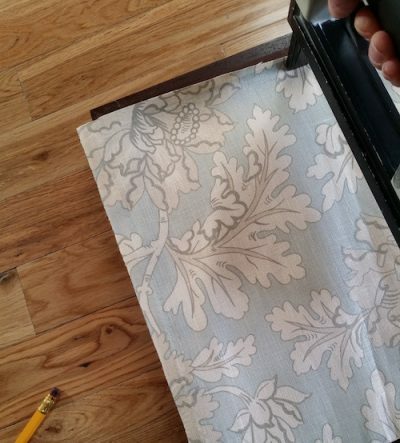 An upholsterer should offer options like with or without decorative trimmings. Also, Do you know there are fitting methods other than stapling the fabric? We have research thoroughly for various products or good fitting system. Most tracks are for commercial use and do have their limitations for residential application. Actually, there is only one which stands out. It is called Clean Edge System. A revolutionary track for residential use as it works with all challenges found in homes. 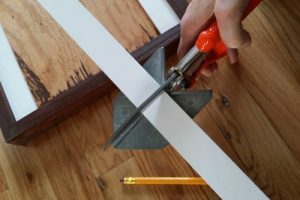 For those who wish to install the fabric themselves, there is a simple method using a slat. The fabric is stapled on it, trimmed then a flat braid or welt is added for hiding staples. First and foremost, the fabric should not be stapled directly to the wall but be fixed on some sort of support like a slat. 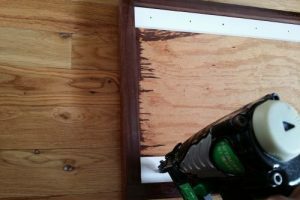 For one thing, if the fabric needs removing away from the wall, you will be very upset with yourself for not having installed any slats. Wait a minute. Do you really want to pull out all the staples one by one? Think about the time spent doing this. And you will damage so much the sheetrock, plaster everywhere…What a mess! So what is the solution? 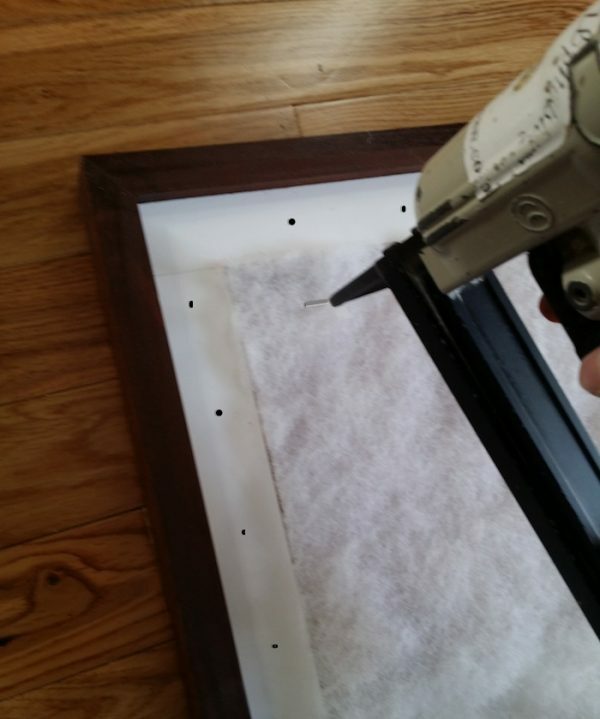 You need to fix a frame where the fabric is stapled to it. It is a little more work but well invested as the walls will also look so much better. Most people take wooden strips which has a few inconveniences. What are these troubles? You will need to buy sheets of wood; ¼ inch plywood. 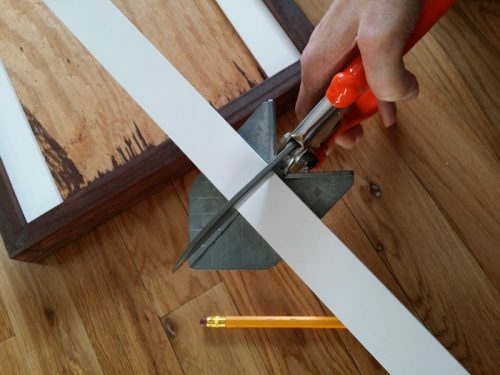 Make strips of 1 to 1 ½ inch wide. So, this method requires a table saw. Then when time comes to install, you will find that your hands are going to be damaged or bloody from splitters. The fabric needs to stay clean. Hello! 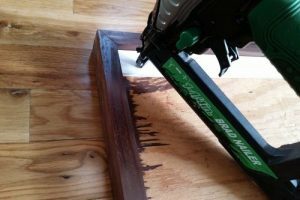 Finally during the fabric installation, you will have a high chance of pulling fabric threads from the wood. And more observation, wood brake too. 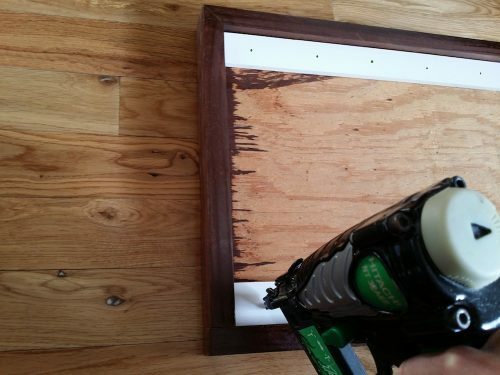 As I wish to make a good job, I am ruling out plywood. Simply replace wooded strips with another product called CWS or Contour Wall System. Please note, at the top of the page, you have a slider of the CWS with images. It is a mock up, like a small wall panel. CWS is the way to go. It comes in strips ready to use. Each length is 94 inch long by ¼” thick. Contour wall system or CWS is a white PVC slat designed especially for wall upholstery. You will not get all problems mentioned above. Each box has 40 lengths, which makes 100 yards. Smaller quantity is available. 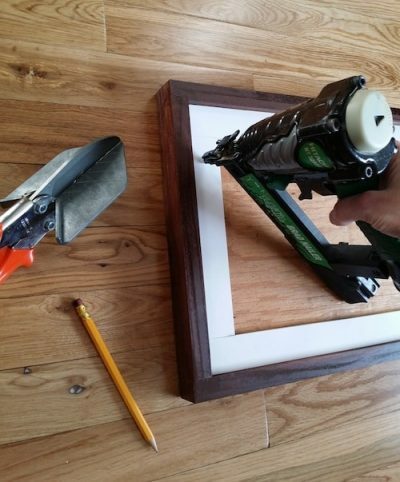 What you need to do is place and staple it around the room using ¾ inch staples or brad nails. It is easy to cut CWS (Contour Wall System) with sharp track cutter. You will be able to make small pieces without problem, even cut at 45 degree angle. 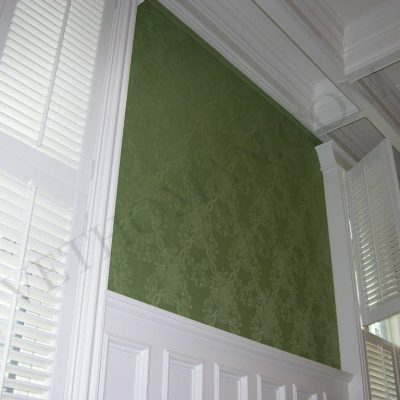 After installing the slat around the perimeter of the room, around doors and windows, add a layer of padding. Cut the padding just before the slat so they are both at the same level. Proceed with the fabric installation by stapling the fabric on the white slat. Trim the excess fabric, then add the desire decorative fabric trimmings. If you choose to add brass or nickel nails instead, it will just fine. Any size works. If a nail is not at the correct place, pull it out and reposition. Contour wall system does not split open, which is a great bonus. 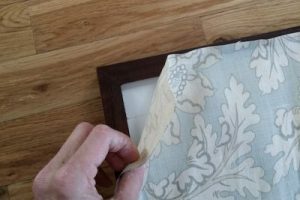 Below is the full description for wall upholstery 101 step by step. Remove all furniture from the walls. If the room is empty it is even better. Measure each wall; width and height. Disregard the windows. Remember that most fabrics are 54″ or 48″. Lets say that a wall is 130″ wide, you will need 3 widths of fabric for 54″ wide (3 x 54″ = 162″). For a 48″ fabric, count also 3 widths (3 x 48″ = 144″) And so one with the other 3 walls. 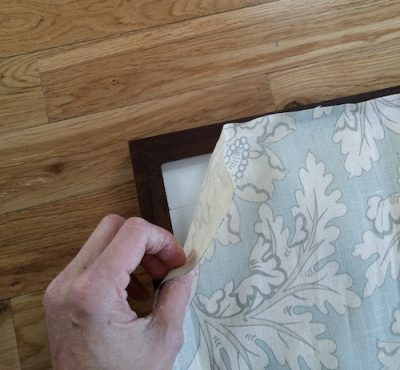 If your wall is 98″ tall, add 5 inch extra to each drop of fabric (103″). This means, you have 3 widths x 103″ = 339″ convert in yard after you have added the other walls. Go shopping for fabric and have fun. You may want to add an extra width as a security. You never know what could happen. Your supplies, tools and slat. Get a ladder, scissor, a pencil, a tape measure. Sewing machine to seam up the width of fabric. 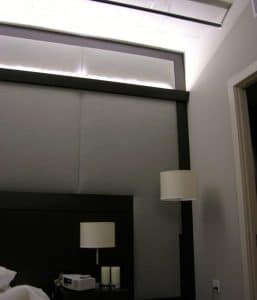 Take a length of Contour wall system (CWS) and a brad nailer, start by the ceiling at the top right or left corner. 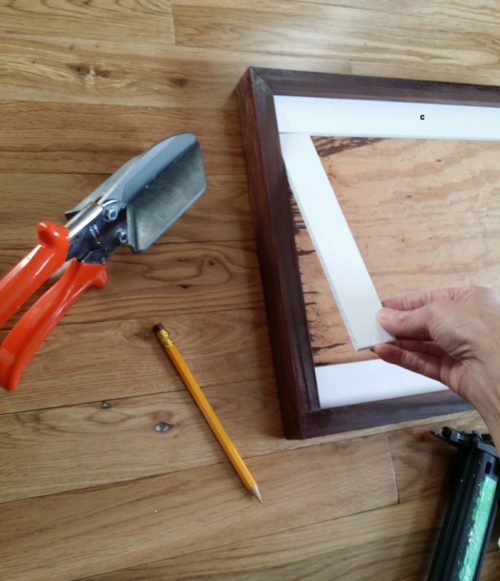 Place the slat against the ceiling or crown molding and fix. Take another length until you reach the other corner. 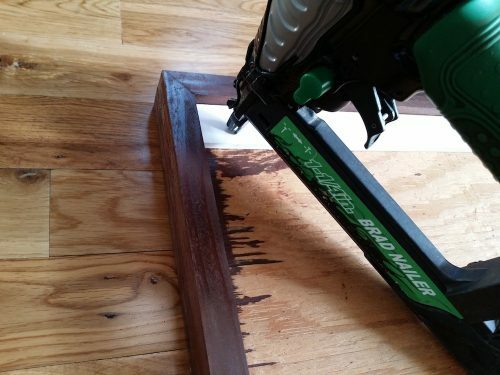 Do the same at the base of your walls or chair rail. Do the vertical strips. 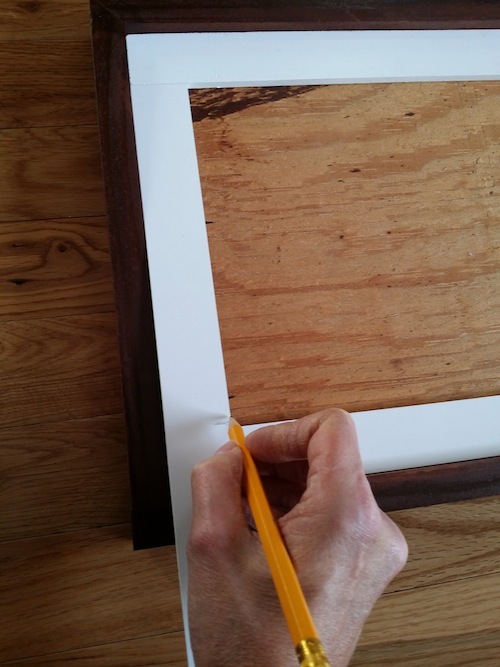 At each step: measure, mark your slat, cut and attach the CWS with brad nails. Repeat all around the room. Don’t forget to put strips by the window and door. 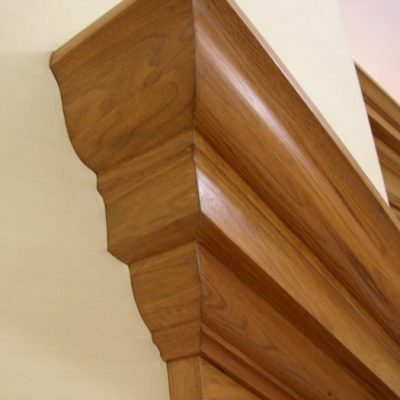 Fit them against the moldings. Get your padding. Place it just below the track at the top and use your stapler. Trim if too long. TOP. Place fabric over the wall with a little extra all around. 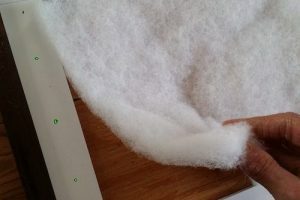 (Leave more extra cloth at the base to bottom) Start at the top center with one staple. Hold and stretch very slightly from center to the right, staples on the CWS until you reach the corner. Repeat from the center left to the other corner. BOTTOM. Go to the bottom. 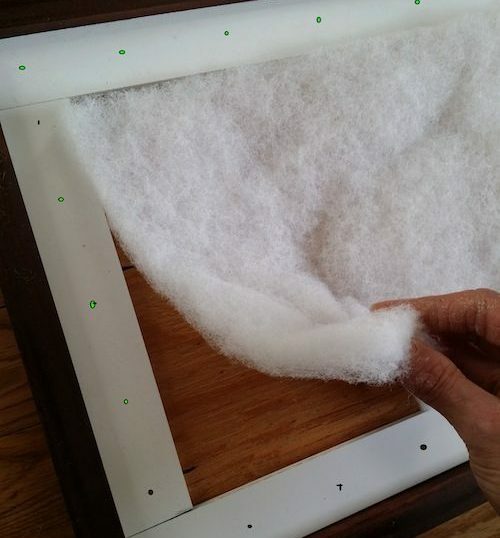 Let the fabric hang naturally and stretch it vertically, staple in the center. Work to the right and to the left. Make sure keep straight. SIDES. 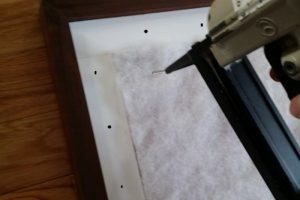 For the sides, pull slightly the cloth and put one staple at the center right and one the left side. Look back to see it is all leveled. Start stapling the sides. Trim the excess fabric all around. 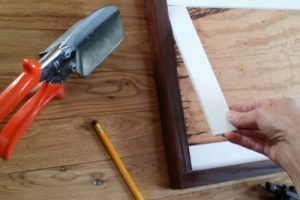 Finally, apply the decorative trimmings of your choice with glue. This operation will hide all staples. 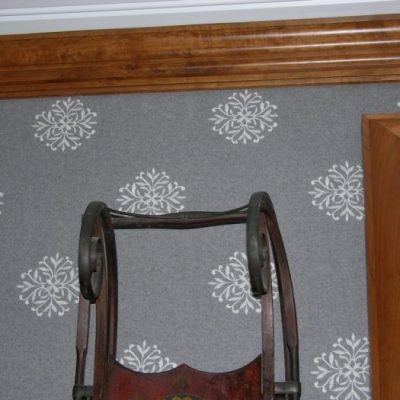 I believe you have now all elements for installing a track for wall upholstery 101.